Several passengers including a 4-month-old baby have stranded at Gombe Lawanti International Airport Gombe on Sunday following the failure of Arik Airline operators to airlift them as scheduled. Some of the disappointed passengers who spoke to this correspondent from the airport in Gombe via a telephone lamented that, the health and safety of the baby and other children that were involved could not be guaranteed. They described the attitude of the operators of the airline as non-challant because there was no any notification by any means until about 3 pm when they just announced the cancellation of the flight without considering the distance they travelled from or the implication of such on their businesses. Chairman, Coalition of opposition political parties also known as G23 in Kaduna State, Olaitan Turaki who was also among the stranded passengers called on President of Nigerian Senate, Bukola Saraki and Speaker of House of Representatives, Yakubu Dogara and other stakeholders to critically look into frequent disappointment of the airline against Nigerians. 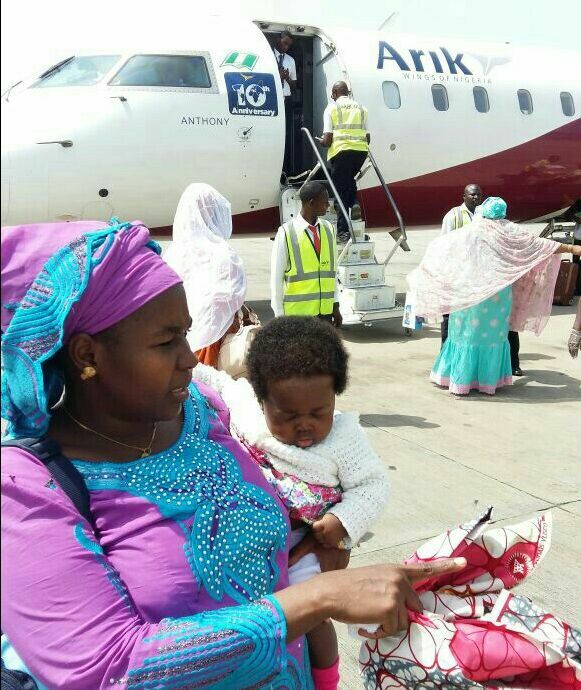 “I and my family including our 4-month-old baby are being stranded at Gombe Airport by Arik Airline. We didn’t know what to do because the airline did not give us any prior notice to the cancellation of the flight; no SMS, no email. We drove from Biu local government area of Borno State to the airport only to be told after we have waited for two hours behind schedule that the flight has been cancelled. “We want to follow this case with all seriousness and will file a damage suit against the airline in the court of law. “I want to call on President of the Senate and his counterpart in National Assembly to as matter of urgency, called the airline operator to order or even ask them to close shop if they don’t have enough planes to fly Nigerians instead of endless disappointment and provocation they subject Nigerians to often. “They have been doing this without anybody checkmating their barbaric activities. The reason behind the cancellation remained unknown to us. How can we be subjected to this high level of injustice in our own country? “Airline business is not what one can force himself into. You must be capable and have enough planes to operate. We are not happy at all by the act of Arik Airline. It was a very serious disappointment to us. No accommodation, no care even the airport staff did locked us outside the gate. “We want to applaud other airlines who know what they are doing; who know value of time and that of their clients. They should continue the good work they are doing”, he decried. A copy of flight schedule dated Sunday November 20, 2016 and made available to this correspondent showed that the passengers were scheduled to leave Gombe Lawanti International Airport at 13:20 and arrive Nnamdi Azikiwe International Airport in Abuja at 14:25, but were kept waiting without any information till few minutes to 3pm.